Executive Aircraft Maintenance (EAM) is your complete source for quality General Aviation Maintenance, Installations, Service and Support. We are comprised of seasoned aviation professionals that are committed to maintaining a close working relationship with our customers in order to provide world-class service and attention. With 40,000 sq. ft. of hangar space available, we look forward to creating convenient responsive, cost-conscious maintenance solutions for you! We offer routine inspections, unique major repairs and alterations, technical evaluations, and conformity inspections. Additionally, we have FBO services, private jet charter, aircraft management and advisory services. 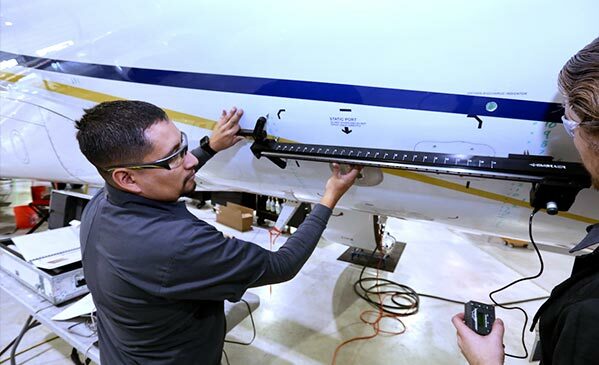 Our MRO shop is big enough to provide a wide variety of services but small enough to ensure personal attention with a focus on minimal downtime. We are a partner available to assist with AOG and drop-in maintenance and provide advice on the best option for your MRO needs.